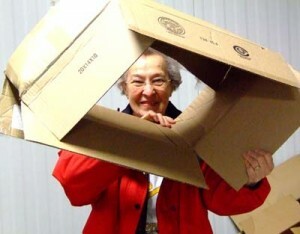 Sister Lucille Herman volunteering in Greensburg, Kan. The Sisters of St. Joseph believe that God calls each of us to serve in a vast array of ways. Whether you are considering religious life as a vowed sister, or just have a hour or two a week to help your neighbor, the links below offer more information on the ways you may serve alongside the Sisters of St. Joseph of Concordia.